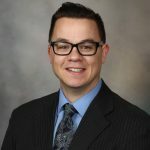 Four Mayo Clinic investigators were selected to receive 2018 Education and Biobusiness/Biotechnology Awards from Regenerative Medicine Minnesota. The Minnesota Legislature allocated resources to fund Regenerative Medicine Minnesota in 2014 to improve the health of Minnesotans by advancing regenerative medicine therapies. Grants are awarded to individuals working to accelerate medical research and to developers of biotechnology and biobusinesses across the state. Education grants are awarded to recruit, train and retain the next generation of health care workers and researchers in the field of regenerative medicine. Project Summary: This program works with educators to create career awareness in regenerative medicine and science. Educators can use this to develop curriculum and to encourage students to consider careers in regenerative medicine. Project Summary: With the acquisition of a clinical-grade cell sorter, the Regenerative Medicine Biotrust will further the integration and optimization of process development and cGMP manufacturing platforms and provide increased access to regenerative therapies. Project Summary: A continuation of an already successful program, this project works to integrate regenerative medicine education in the medical curriculum in order to promote physicians-in-training to think differently using a restorative approach to health care and to engineer innovative solutions to address the unmet needs for patients. Project Summary: This proposal aims to establish a state‐of‐the‐art ultrasound platform with photoacoustic technology specialized for regenerative therapies. The platform will be utilized in over 25 research projects at Mayo Clinic, as well as educational activities for the next generation across the state of Minnesota.